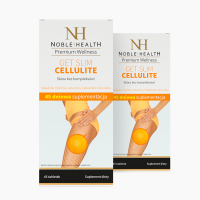 Get Slim Cellulite - Natural dermocosmetics and dietary supplements. Collagen creams. BE PROUD OF YOUR SKIN! Grape seed extract enhances blood vessels, supports microcirculation (capillaries) as well as proper functioning of connective tissue, it also positively affects health and condition of the skin. 1. Who should take Get Slim Cellulite? 2. What are the ingredients of Get Slim Cellulite? Ingredients: bulking agent - microcrystalline cellulose, green tea leaf extract (Camellia sinensis O. kuntze), bitter orange extract (Citrus Aurantium L.), Morus alba leaf extract, grape seed extract (Vitis Vinifera L.), potato starch, stone pine bark extract (Pinus pinea), focus extract (Fucus vesiculosus), L-ascorbic acid (vitamin C), field horsetail extract (Equisetum arvense L.), anti-caking agent - magnesium salts of fatty acids, D-alpha-tocopheryl acetate (vitamin E), Ginkgo biloba leaf extract, Cayenne pepper fruit extract (Capsicum annuum), anti-caking agent - silicon dioxide, pyridoxine hydrochloride (vitamin B6), riboflavin (vitamin B2), thiamin mononitrate (thiamin), cyanocobalamin (vitamin B12). 3. 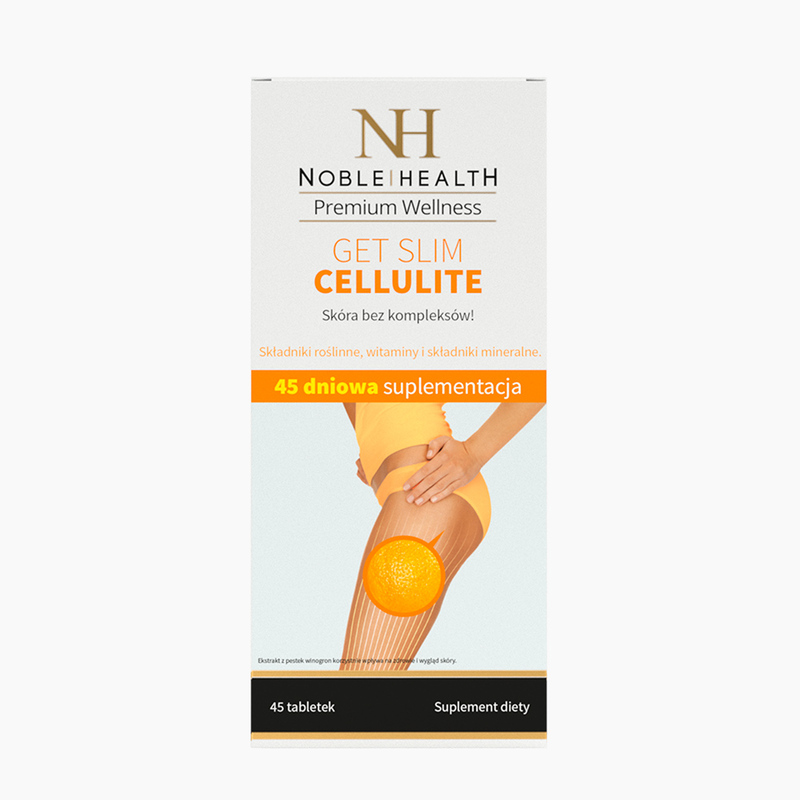 What are the properties of Get Slim Cellulite ingredients? 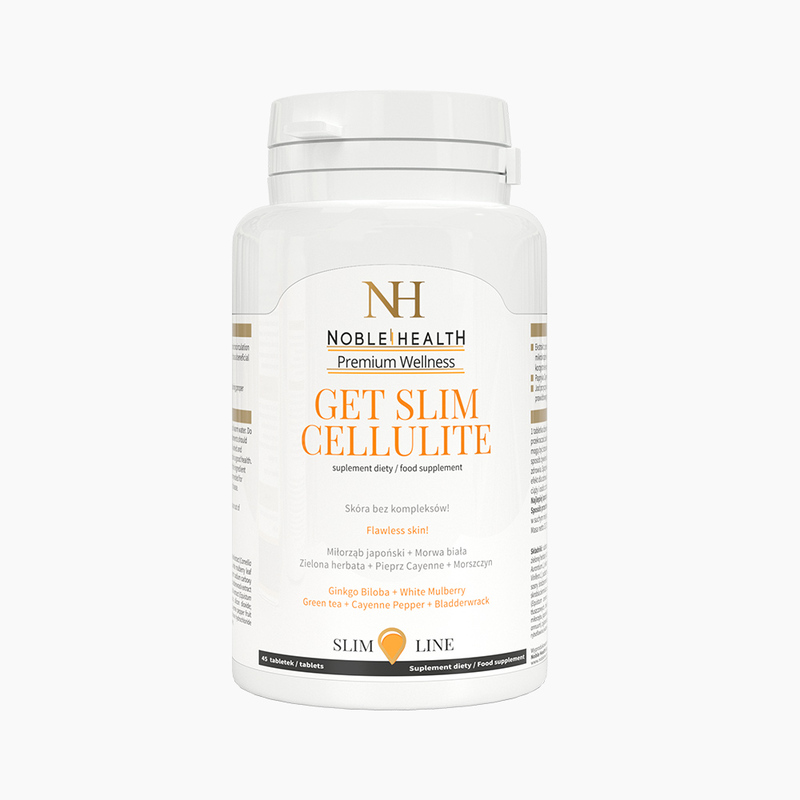 Get Slim Cellulite contains extracts from: grape seeds, green tea leaves, or bitter orange, vitamin C, E, thiamine, riboflavin. Grape seed extract strengthens blood vessels, supports microcirculation (capillary) as well as proper functioning of connective tissue, positively affects health and skin. Cayenne pepper helps control body mass. Iodine maintains healthy skin and proper energy metabolism. Morus alba stops enzymes that are responsible for breakdown of carbohydrates into glucose, which limits its assimilation. Vitamin C plays a vital role in the production of collagen in order to ensures a proper functioning of blood vessels and skin. 4. How to use Get Slim Cellulite? 5. 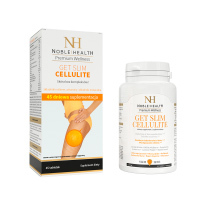 How to store Get Slim Cellulite? 6. 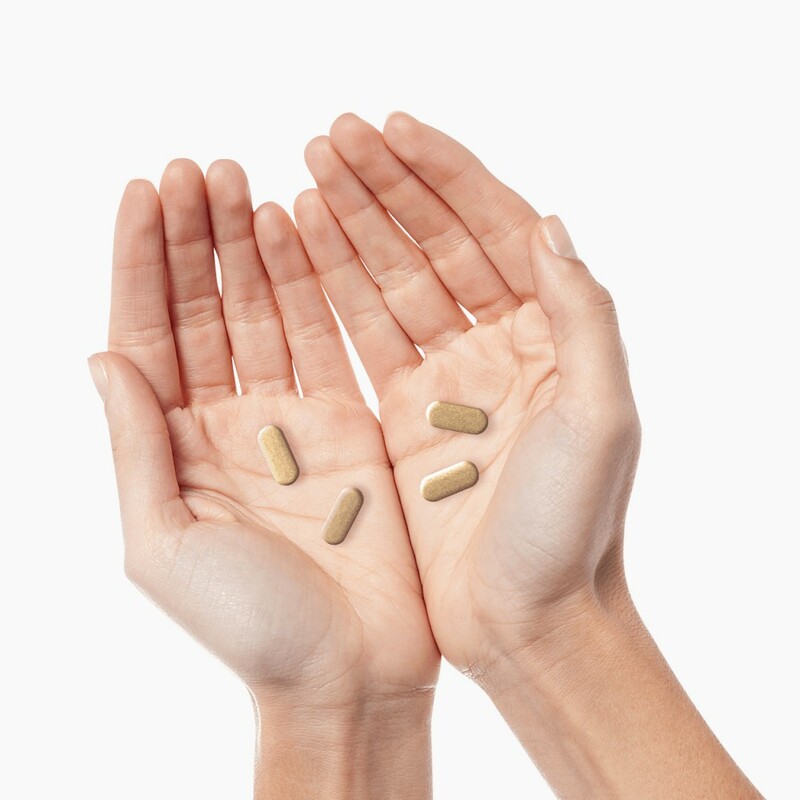 How many tablets are in one package of Get Slim Cellulite? 7. What is the net weight of Get Slim Cellulite? The net weight of Get Slim Cellulite is 33.75 g.
Really worthed. I did not think that this kind of products (working from within) would bring such effects, positive of course. 1 package behind me and you can see a big improvement, skin tighter, firmer, cellulite less visible, time for a 2nd pack which as I think, will remove it for good. Happier, confident of myself and my legs because even though I belong to slim people, my legs were my problem. This product plus the exercise movement works miracles! Great plus for Noble Health for this supplement. I am over 40 and I thought my skin wouldn't help anything. 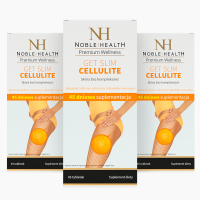 I know that nothing happens right away, I bought the kit straight away, I've included some simple exercises 2-3 times a week and ... cellulite began to disappear. I could not believe myself, but for the first time in many years I could put on a short skirt or shorts without any shame and go to the beach. It needs some time, but it's worthed !!! My final touch. I sincerely recommend buying this supplement for cellulite. Unfortunately, in my case, exercise and diet are not enough. The ugly orange skin was decreasing, but still visible. Together with get slim cellulite everything went perfect! I recommend, I lose weight and get rid of cellulite.